PRICED TO SELL! 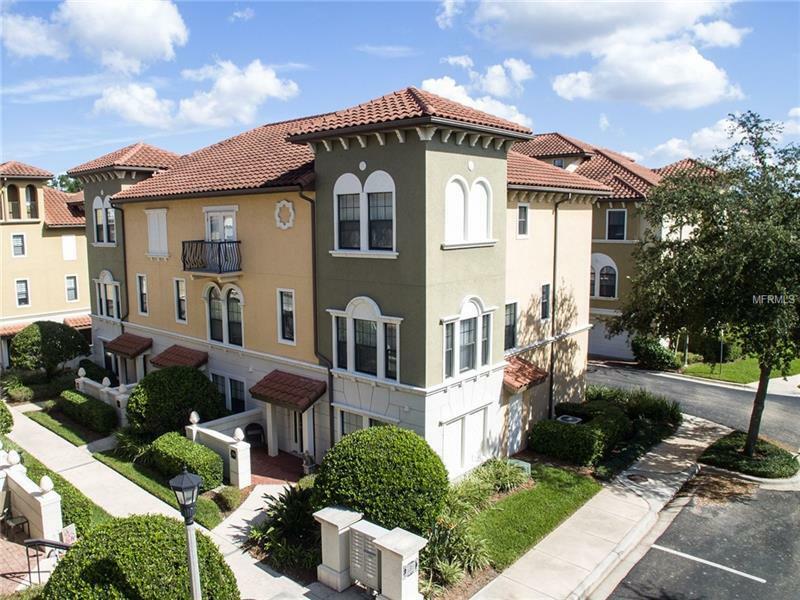 Fantastic WEST facing DR Horton-built and highly sought after end unit in Lake Maryâs trendy Fountain Parke community. 4 Bedrooms 3.5 Bathrooms 2 Car Garage and 2132 sqft of OPEN living space makes this a perfect place to call home! Abundance of natural light filters into the home thru the majestic canopy of mature trees and landscaping. Home includes a PRIVATE ELEVATOR which is a $30000+ upgrade and that few homes have. Quality built with Concrete Block construction on ALL 3 Levels. Current owner has meticulously maintained the home and you will appreciate itsâ move-in ready condition. New carpet and plush padding recently installed interior freshly painted newer window treatments paddle fans throughout upgraded master bath shower enclosure crown molding and so much more. Home features a second master bedroom or in-law suite on the first floor with private entrance and en suite bathroom. Second floor boasts a spacious family or great room separate dining room kitchen with eat-in breakfast area. Third floor contains the ownerâs suite with a luxurious bath walk-in closet plus two additional well-sized bedrooms and bathroom. Fountain Parke is a well-established community boasting resort like features such as full size gym clubhouse pool spa parks and even doggy playground.